Our family spent ten days in this apartment in July. It is very comfortable, nice decorated and fully equipped apartment. From the balcony you can see your children in the pool and you can also see the sea in the distance. Your family and your car are very safe here - you will need keys to go in or out of the apartment /garage. The supermarket is situated under the apartment house so you can buy everything what you need there. The sea is very close. You can borrow an umbrella with sun beds or you can bring your own stuff on the beach. The beach has a dark sand and the pebbles so if you spent too much time on white sand beaches you will love this change :) There are many restaurants, the long promenade and playgrounds for children. We were traveling a lot. Most of the highways are for free so it’s no problem to go and see Granada, Malaga, Marbella, Tivoli Amusement Park, Selwo Marina Park, Gibraltar, Nerja, Ronda etc. - Andalusia is simply a beautiful place for travelers. Clean,comfy apartment. Near to nice bars & restaurants. Very secure. Owner very obliging bought key within 20mins. Lock in a great price for Torrox Boutique Apartaments - Paraiso Sol – rated 9.8 by recent guests! 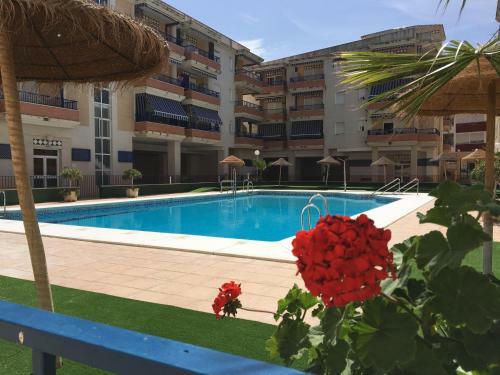 Located in Torrox Costa, Torrox Boutique Apartments - Paraiso Sol features a shared swimming pool. This 2-bedroom apartment offers a private balcony with views of the pool. Free WiFi is available. The kitchen comes equipped with an oven, dishwasher, microwave, toaster, coffee machine, and kitchenware, while the living area includes a sofa set, 42-inch flat-screen Smart TV, and a dining table. 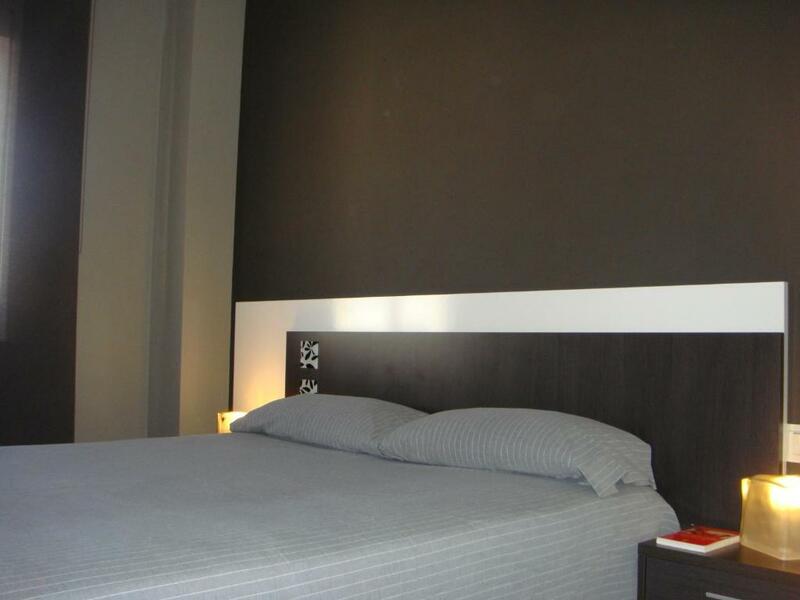 There is 1 double bedroom and 1 twin bedroom, as well as 1 bathroom with a shower and a hairdryer. Bed linen and towels are provided. 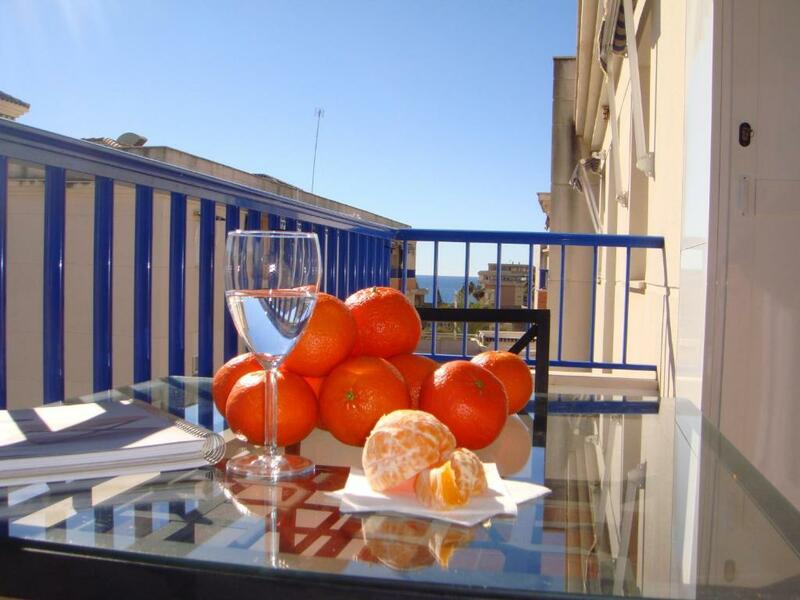 At Torrox Boutique Apartments - Paraiso Sol you will find a terrace. The property offers free parking. Malaga Airport is located 29 mi away. This property also has one of the top-rated locations in Torrox Costa! Guests are happier about it compared to other properties in the area. This property is also rated for the best value in Torrox Costa! Guests are getting more for their money when compared to other properties in this city. When would you like to stay at Torrox Boutique Apartaments - Paraiso Sol? This apartment features a private balcony with views of the pool. 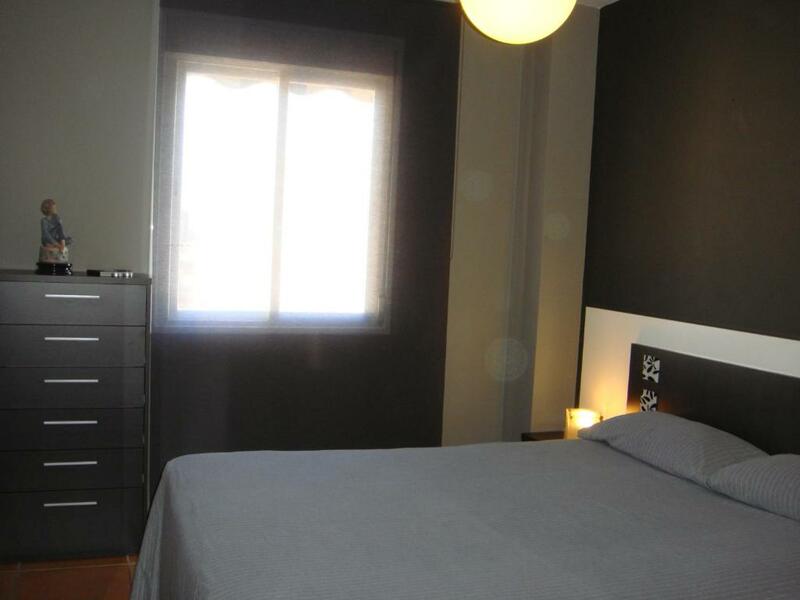 It has 1 double bedroom and 1 twin bedroom, as well as 1 bathroom with a shower and a hairdryer. Bed linen and towels are provided. The kitchen comes equipped with an oven, dishwasher, microwave, toaster, coffee machine, and kitchenware, while the living area includes a sofa set, 42-inch flat-screen Smart TV, and a dining table. Free WiFi is available. It is an apartment of two bedrooms in the highest plant of the building. It is the first one in receiving the Sun. It is orientated to the south-east, with what it has the marvellous Sun of tomorrow in his terrace with a view to the swimming pool. It is decorated by a functional style in hot and cozy tones, by opened spaces and kitchen integrated with the lounge. The kitchen is very equipped. It has oven, plate of boiling vitrocerámica, dishwasher, a refrigerator and big freezer and washer. He has everything necessary to cook, enclosedly microwave, toaster, coffee, etc. It takes details as the television with channels for satellite, box of fixed safety, mirror of increase in the bath, bed of 150cm in principal bedroom, hangers of wood and parking. The bath has a texture slate in the soil. Work aiming to improve. My customers are very loyal and strive to offer the best. It is a residential area. very quiet in winter. You can take the morning sun on the terrace. What I like most is that on the ground floor there is a supermarket. This allows buy without leaving home. It is very close to many shopping establishments, restaurants, etc. Torrox-Costa is a strip along the coast, so the walk to the beach is very short. I always advise to have a vehicle for visits to other interesting places nearby. The bus is getting interesting, as there are more and more routes and timetables from Torrox. House Rules Torrox Boutique Apartaments - Paraiso Sol takes special requests – add in the next step! Please inform Torrox Boutique Apartaments - Paraiso Sol of your expected arrival time in advance. You can use the Special Requests box when booking, or contact the property directly using the contact details in your confirmation. Could have done with spare set of towels & linen to wash and change. Pity pool is not heated as couldn't swim but will know next time.